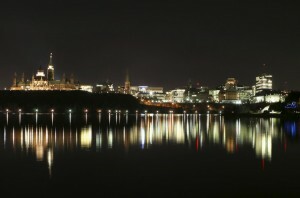 Ottawa’s Centretown neighbourhood is the heart of the city. There’s always something new and exciting happening downtown, whether it’s a national event at Ottawa’s Parliament Hill or a new restaurant opening up on Bank Street. Surrounded by great neighbourhoods like Hintonburg to the west and The Glebe to the south, along with the close proximity of the Byward Market, Centretown offers plenty for residents to see and do, in addition to providing lots of great attractions for tourists and visitors. Centretown residents have access to some of the city’s best features, with lots of shopping, recreation, events, and parks all within a short walking distance. And many Ottawans who choose to live downtown also benefit from a brief commute to work, which is likely one of the main reasons for buying a home in the neighbourhood. 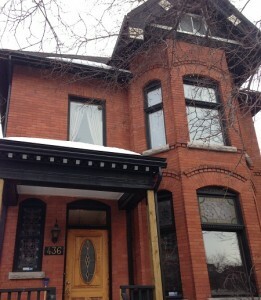 Luckily there are plenty of housing options for buyers looking to call Centretown home. Just steps away from the shops and eateries along Bank Street are quiet, tree-lined residential streets featuring unique single family homes, each with plenty of character and century-old charm. Newer homes can also be found in the area for those who would prefer their house to have a more modern look and feel. If you’re looking for a condominium, Centretown is one of the best spots in the city to begin your search. This neighbourhood provides a large selection of condo options to potential buyers, from trendy urban units in high-rise towers to family-friendly suites with extra rooms and living space. For those who live and work downtown, enjoying all the city has to offer is a way of life. Some of the city’s best-hidden gems are located in Centretown, and with new shops and businesses opening regularly, there’s always something for everyone. An urban lifestyle can be busy and fast-paced, and it’s always good to be able to step away from it all and take a break. 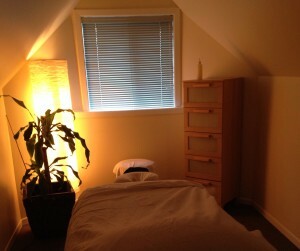 Residents can do just that at Smyth Massage, which is one of Ottawa’s best-kept secrets. This relaxing therapeutic massage clinic is centrally located on Gilmour Street between Bank and Kent streets, making it a perfect place to stop in and treat yourself after a long day of work. The clinic is tucked away inside a beautiful old home-turned-office right on Gilmour, and is located on the third floor of the walk-up building. When you arrive for your appointment, you’ll receive a friendly greeting as soon as you enter the calming third-floor space. The slanted slopes of the attic ceiling provide instant charm and atmosphere for your visit, and soothing music plays quietly in the background to add an overall sense of relaxation. The registered massage therapists at Smyth Massage make every effort to ensure their visitors are comfortable, outlining their services and taking some time to get to know you before your appointment begins. Best of all, the unique location of the clinic will let you unwind naturally and help you feel right at home throughout your visit. Make sure you check out their website to learn more or to schedule an appointment. Fabulous new businesses like Smyth Massage are popping up all the time in Centretown, and offer residents and tourists alike with the opportunity to take advantage of Ottawa’s wide spectrum of activities. And with convenient access to the 417 as well as a host of public transit options, Centretown residents can quickly get around to all other areas of the city like Alta Vista, Westboro, and New Edinburgh. Whether you live there already or are thinking of moving to Centretown, send Chris an e-mail or give him a call for more info on the neighbourhood! Don’t forget to subscribe to the Ottawa Move blog for updates on Ottawa’s new condos.